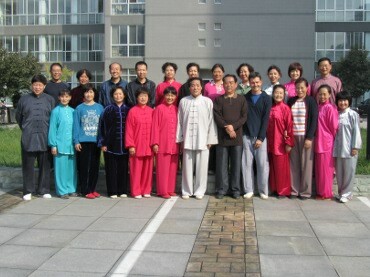 Xian's Tai Chi Schools & Teachers - The China Taichi Guide is a Directory of Tai Chi Schools & Tai Chi Teachers in China. Zhao You Bin is a highly regarded master of traditional Yang style Tai Chi Chuan. He is the son of Zhao Bin who was a senior disciple and nephew of Yang Chen Fu. Mr Zhao is based in Xian and is the President of the Xian Yongnian Yang-style Taiji Quan Association. This is an amazing opportunity to learn with one of the highest establishment figures in Traditional Yang style. The China Taichi Guide : An introduction to Xian's Tai Chi Schools & Teachers. Xian is one of the main imperial cities of old China and as such retains an important role in preserving the traditions of China. Tai Chi of the highest level is available there. The China Tai Chi Guide is a directory of Tai Chi Schools and Teachers in China.